NOTE: When comparing our tap with any cheap beer tap that look similar, we can assure you there is no comparison in quality. Cheap taps look shiny but the quality is generally poor, they a lightweight susceptible to leaking and failure. We important these taps directly and are not the same as comparable taps on Ebay.. We guarantee it. Our Taps come witha full 2 year Warranty. This Long Shank Beer Tap with 80mm shank has a spring-loaded self-closing handle for a very easy clean pour. Made from high quality Chrome plated Brass. A premium product with a full 2 Year product Warranty. Imported by us. The Lonk shank comes with nuts and fittings fit in any fridge or cooler box. As you can see from the photos it has a bent barbed end to suit 6mm internal id beer line. 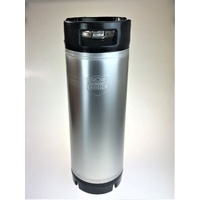 To mount it in your fridge, or esky / cooler simply drill a hole and fit it air-tight by screwing in the fittings and locking nut. No need to open your door to pour a beer. 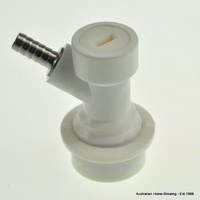 This tap is suitable for both 6mm and 5mm internal diameter beer line. If quality is important then you will be delighted with this product for many years to come. check our video to see our product up close. To mount it in your fridge, or esky / cooler simply drill a hole and fit it air-tight by screwing in the fittings and locking nut. No need to open your door to pour a beer. 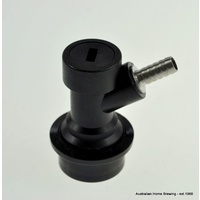 This tap is suitable for both 6mm and 5mm internal diameter beer line.